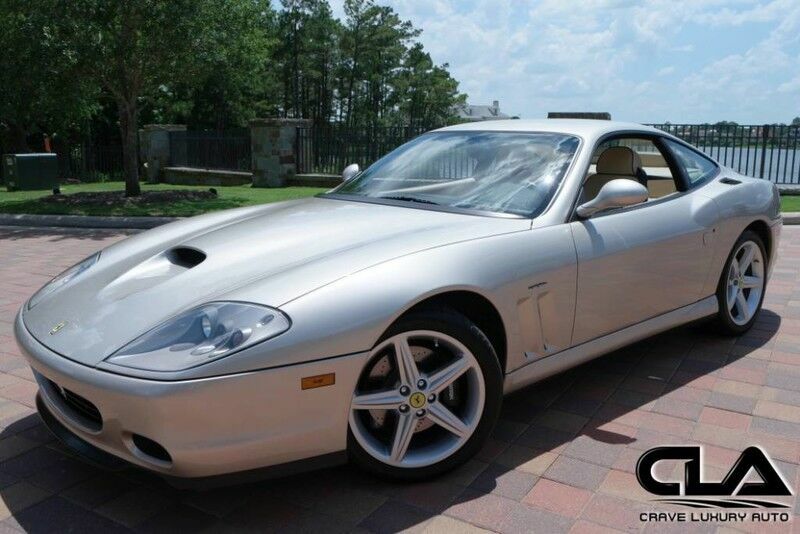 Client Advisor - Very Nice 2003 Ferrari 575M. Only 9,955 miles. This Grigio Ingrid over Crema is optioned with the following: Nero Calipers Daytona style seats Fully electric seats Nero Rev counter Contrast Nero piping Leather rear shelf Horse embossed in headreast Complete tool kit Owners manual Air pump Nero seat belts This Ferrari like all previously owned vehicles here at CLA went through our own rigorous inspection process performed by our Master Technicians. Call to schedule your appointment today! Crave Luxury Auto is located Just north of Houston, Tx in The Woodlands. Our service center is just across the street from our showroom. Please call us with any questions you have in regard to this vehicle at281-651-2101.